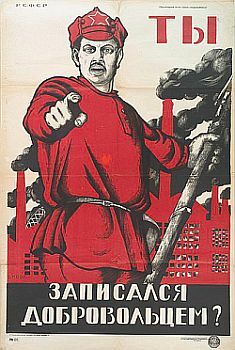 My weapon of choice is actually one Soviet troops used for many years to stay one glorious step ahead of their capitalist foes in the realm of physical prowess. While western drill sergeants were punishing their men with long jogs and pushups by the dozen, Red Army soldiers were out in the pastures hoisting 53-pound iron balls above their heads a thousand times. Every morning. In a blizzard. Taking breaks only to wrestle bears, for fun. 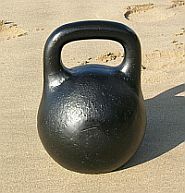 The weight they used is called a girya, known in the English-speaking world as a kettlebell. It resembles a cannonball with a thick handle. It was over three hundred years ago that the first kettlebells appeared, used as counterweights for measuring market goods. Once they became popular for that purpose, I’m sure it wasn’t too long before boastful farmhands began trying to outdo each other by loading more counterweights. Much bragging, drinking and juggling ensued. Informal, vodka-fueled competitions began to arise with enough regularity that men began to use them solely for their uncanny strength-building properties. Formal training schools and sanctioned competition were not far behind. Naturally, the military recognized the kettlebell’s ability to make ordinary people much tougher and deadlier, and began to use them to that effect. They resist the muscles from different angles in one movement. Many kettlebell movements are ballistic in nature, meaning that the kettlebell is swung or otherwise maneuvered about the body, recruiting many more muscles than a typical dumbbell exercise. In particular, it works the smaller, oft-neglected stabilizer muscles support the bigger, showier muscles. These little muscles and connective tissues actually make the big muscles functionally stronger. 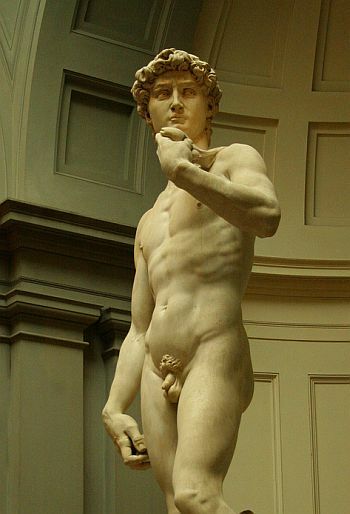 The result is a balanced, herculean torso where no muscle is too big or too small. Kettlebell movements get the muscles cooperating instead of competing for attention. They’re good for the joints. I did not believe it when I heard it, but proper kettlebell use can rehabilitate damaged shoulders and elbows. In 2003 I strained both shoulders in an awkward snowboarding crash. To my great dismay, I soon found I could no longer throw a baseball or a football without searing pain. This lasted for five years. After a month or so of kettlebell grinds, I discovered I could throw a football like it had never happened. I was dumbfounded. There is zero pain now. Kettlebell exercises replicate functional movements. You can do thousands of dumbbell curls and get stronger at very little other than dumbbell curls. Many of the common weight movements can increase muscle size, but they do not necessarily confer the kind of strength that’s useful in day-to-day life. Kettlebell movements are compound exercises that work the body from all angles, improving abilities you may actually use outside the gym. This is called the WTH (What The Hell?) Effect: suddenly you find yourself better at things you never even practiced, because your whole body is better. They’re portable. Taking a kettlebell to the park is a time-honored tradition in the kettlebell world. The Philadelphia Kettlebell Club’s credo: “We train with kettlebells in case civilization is temporary… don’t rely on anything you can’t carry.” Try bringing your Bowflex on the plane. They’re fun. I did not like working out before I discovered kettlebells. I mean, I did it, but it was always an unappealing activity to me, and I never found a program I was interested in sticking with for more than a few months. I can’t put my finger on what exactly is so fun about kettlebells, but they are. They are intense as hell. And that means two things. They work your body harder than it’s probably ever been worked, and your workouts stay short. Twelve minutes of kettlebell swings and I’m staggering and almost hallucinating. This is great. And that means no whining that there isn’t enough time to work out. For excuse-makers like myself, that is a huge psychological advantage. They are indestructible. Fifty thousand years from now, when the earth is just a smoldering wasteland, aliens will arrive and find nothing but cockroaches and kettlebells. Now, I’ve never been a couch potato, but I’ve never been Jack Lalane either. Over the last ten years or so, at any given time there was probably a 50% chance I would be doing some sort of regular workout. My programs would be ad-hoc and they usually didn’t last very long. I would get discouraged or bored or busy and end up at square one again after a month or two. But because I never stayed ‘off the wagon’ for very long, I’ve never been terribly out of shape. Now, with this new experiment, it’s time to get terribly in shape, something I’ve never really excelled at. The main problem was that I wasn’t having fun working out. It was a tolerable but unpleasant activity, and only a patchy combination of willpower and desire would keep me going back to the weight room. This always gave out sooner or later. I was introduced to kettlebells last fall by an internet friend who had used them to completely transform himself. He went from dangerously overweight to rock solid in a little over a year, using these exotic Russian implements. I was sold. Now, as quickly as I fell in love with kettlebells and the culture surrounding them, I have not made nearly the transformation he did. In the eight or nine months since then, my workouts have been spotty at best. I had a whole list of excuses reasons. Kettlebells have a steep learning curve. The movements are complex, and dangerous if you don’t know what you’re doing. I had to spend a good month getting my form down before I could really ‘begin.’ I didn’t want to get injured, and I was trying to teach myself, so this stage lasted a while. When I did finally begin, I saw results almost immediately. In four weeks I saw noticeable changes in my muscle mass and definition. I was much stronger, and starting to look ‘cut.’ I couldn’t believe it! Then tragedy struck. I pulled a muscle in my back when I was being particularly careless, which was enough to derail me for a week or two. Then I got busy and put off restarting. Then I started again, but I tried to add in too much other exercise, and continued half-assedly and intermittently until this February. That’s when I started building a blog and my workouts just fell off the map completely. Today, two flights of stairs can wind me. Sometime before I fell out of the workout habit, a member of an online forum I moderate was looking for a workout routine. I told him about kettlebells and under my suggestion he bought one and started using it religiously. He started as something of a stringbean, but as my workouts became less and less frequent, he started reporting astronomical results. Within a few weeks he had surpassed me completely, and now he’s absolutely tearing it up. I began as something of a mentor to him (how pretentious of me) and now I find myself looking up to him. He’s 19 or 20. I suspect he’ll be bench-pressing cars by the time he’s done college. I’m going to do what he did, that I should have: become serious about it and start reporting my results. It is his landmark book, Enter the Kettlebell!, that will be my bible for the remainder of this experiment. The Swing — A kettlebell, gripped in both hands, is swung between the legs, up to chest level, by using an explosive hip thrust. It looks incredibly easy, but it’s anything but. Forty straight seconds of it and most hearts will be pounding out of their respective ribcages, and one’s lungs will be breaking new ground. All the cardio you need, without even moving your feet. For those who dislike running — or its impact on the knees — kettlebell swings are a fantastic alternative. See a demonstration here. The Turkish Get Up — I don’t know what makes it Turkish, but the idea is simple: lie down on your back and press a kettlebell straight up. Then get up, keeping your arm straight with the kettlebell above your head. Then, carefully, lie down again. Then get up again. And keep doing it until the buzzer goes. This is the exercise that has already fixed my ailing shoulder, and I love doing it. See a demonstration here. The program takes four to eight weeks, so I will see what I can accomplish in six. As it stands right now, I am not fit. I will take it rather easy in the first two weeks, to avoid injury. Any experienced gireviks reading might snicker at my numbers. That’s okay, I need the benefit of transparency here. I am not an especially strong person to begin with, and I’ve atrophied some, but I’ll fix that. In the second two weeks I’ll be pushing in the accelerator, and by week six I’ll be flooring it. The goal is visible changes to my physique by the end of week six. Whether I accomplish those aesthetic changes or not, I’ll be much stronger and more resilient, and ready to start the second program: the Rite of Passage. The crucial factor to my success in Experiment No. 1 was the accountability that was created by promising my readers that I would do it. I had experienced such discouraging initial sessions that I would have quit, had I not made it a public exhibition. This time I’m going to bump the accountability factor up a notch, by actually posting a “before” picture, so that there can be no embellishment or misrepresentation of the results. Six weeks is not a lot of time to make visible changes in one’s physique, so I’ll be actively pushing myself, not just getting my workouts over with. Here’s what I look like now. Notice the spare tire beginning to form. I will crush it like a rogue enemy of the state. I’ll be posting regular narrative reports on the experiment log, and once a week I’ll post my numbers for the week. I start this Monday, May 18. Now that the picture is up, there’s no turning back. No going back to the drawing board. Update: It’s on! Check out my progress here. Photos by switch1010 and Detlef Romeike, Bobster855, Isabel Cain and jay8085. What an interesting type of exercise! I’ve never heard of it, and appreciated the picture of a kettle ball so I could picture what it looked like. Then just as I started to skim because the exercises were getting too technical for this newb, you went and posted a picture of yourself, pre and post! That made me laugh (the post I mean). Thanks for the information and humour all in one post! Fantastic! I’ve seen a few comments of yours around where you mention how much you love kettlebells but I had no idea what they were or how you use them. This sounds like a great experiment. That turkish get up looks *really* easy…YEAH RIGHT! Better you than me! Oh and I love the before and after pictures :) Well done I look forward to reading about your progress. Sherri (Serene Journey)’s last blog post..Can You Really Live Each Day Like It’s Your Last? I think *I* need to take this advice more than you do…but how often can I insert Rocky into a comment? @ Sherri — Yeah the guy in the video is a bit more advanced than me. I’ll be using a 16kg bell. His was 48kg. Just look at yourself in the mirror, and say: “I must break you.” in a thick Russian accent. I do that anyway! Part of my morning routine, even when I’m not working out. Haha. Great post…it made me laugh! You’ll be ready for the the Buff Blogger Calendar when you’re done. My gym recently added Kettle Balls, but very few people use them. Maybe I’ll give them a try, but I’m a little concerned about my occasional back problems. Any tips on avoiding the back problem you had? What happened? Kettlebells, huh? That is one out-of-the-box way to get in shape! kettlebells and wrestling bears – go team russia!! really like your writing style. really expressive and fluid. I’ve never heard of these, but I am very curious to find out how your experiment goes. Does the kettle bell bible address your diet? I’m guessing you are probably going to keep the same diet. As someone who has been skinny my entire life, I have noticed my metabolism slowing down and a spare tire appearing (depending on how I stand). I should probably try this, but I have a feeling I’d kill myself. I guess I’ll stick to my cycling. @ Roger — I think that’s a common scenario: kettlebells sitting unused in gyms because nobody knows what to do with them. They definitely take instruction to use safely. I pulled a muscle by failing to brace my torso while I was warming up. I was passing a kettlebell around my head (a warmup exercise called a ‘halo’) and I let it get away from me without keeping my muscles tensed. Learned my lesson. Creating and releasing muscular tension is an essential part of kettlebelling. Kettlebells strengthen backs. Depending on your specific condition, they’ll probably improve your back’s health if you use them properly. Get a doctor’s blessing first though. @ Lisis — Hey, thanks! The picture was a necessary motivational tool. I have to make things happen now; I can’t just go through the motions. @ Dani — Blogging has made me a much more upfront person in general, in a rather short time. It’s exhilarating. @ Tim — No, I deliberately left diet out of this experiment. I eat fairly healthfully in general, so I’ll stay on that course during the experiment, so that physical activity is the only difference. Many gireviks are into the Warrior Diet and the Paleolithic diet. I prefer the Neolithic Diet myself. Okay, I have no idea what I’m talking about. Good luck with your experiment. Hey David! I agree with positively…you’re starting from a great place. I bet you’ll reach your after goal in no-time. I think we’re similar when it comes to fitness. I’ve always been active either doing yoga, kickboxing, or aerobics, but I could definitely use more tone. I’d love to get a six-pack–but I have to enjoy the process. It’s why I don’t run (unless I’m being chased.) I just find it boring. Perhaps I’ll try the kettle ball workout, too. Lori’s last blog post..You Say You Want It—So Why Aren’t You Grabbing It? @ Chris — Haha. Me too. @ Lori — Same, running was always like pulling teeth for me. What a difference it makes, to like what you do for exercise. @ Alison — Yes they do. But I think that’s way too small for anyone. You should start with one that you could lift over your head maybe once or twice. They start to feel lighter quite fast. When I first got my 35lb kettlebell, I thought it was way too big, but that changed quickly. YES! David, you are not going to be sorry. I’m going to point to this post over at Dragondoor so The Party can get in on your progress. Let me know if you have any questions along the way. @Tim Tim, once you’ve spent some time throwing KBs around, it’s hard to feel bad about cheating on your diet if you have one. I’ve never been able to gain a pound during intense Kettlebell work. I could probably make more progress if I used more self-control, but so far haven’t needed to. We know that sticking to the program won’t be a problem for David now that he has put his mind to it. Very Cool! Best of luck. I’ve been addicted to KB’s for going on 9 months. They are a great change after years of lifting weights (still lifting, but doing a lot of KB’s too). Another great forum for KB’s is at http://www.artofstrength.com . Anthony DiLuglio is a Pavel certified RKC. I’ll post about your experiment there too. Only thing I am thinking is that 6 weeks could be a short timeframe. Hey thanks for your comment! I have seen a lot of Anthony’s videos, I am definitely a fan. Six weeks is short, yes, but I’m not stopping there. I just need a finite timeframe for this experiment. Once I’m done this I’ll probably move on to the Rite of Passage. I might append my Rite of Passage experience to this experiment. Hey Josh, thanks for making a thread about me over at DragonDoor. 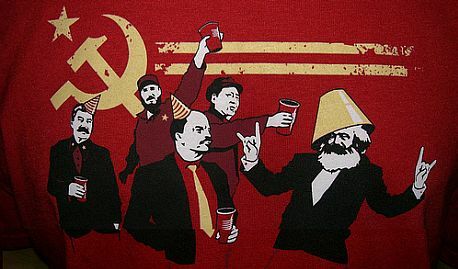 The Party is a good set of peers to be accountable to. I will send any questions your way, for sure. I would imagine you’ll see something quite major, swings are brutal (lost 2 lbs without changing diet but just by doing swings as prescribed in the ROP section of ETK over the last week – and I’m already in fairly good shape!). And I imagine if you do see changes, stick with it, then try the ROP section, I personally have seen my body change rapidly since abiding by it. I currently do ROP as I have been for ages, a while ago it was lots of skipping added, and less swings, since cutting out skipping and doing more swings I’ve seen weight loss (I did lots of skipping as I do boxing). I’m really interested in seeing your results as when I finish boxing next year, I plan to go back to the Program Minimum for a month or so, before getting back to the ROP. My main question is how healthy do you eat now? From that picture, I would imagine you’ll lose a little fat, but I don’t think that’s really much of an issue, you’ll probably find the biggest changes will be a slight but increase in muscle, which is bound to happen. You especially notice it on the ROP, I’ve found that i am a lot broader, and have more trapezius muscle mass. Also bigger abs. I swing the kb once a week – really works the core. I’m still working on the TGU – watch your back. PS. I use a heavier bells for the swings. Nice site, my first vistit, good stuff, I’ll be back! @ Ian — I eat fairly healthfully at home, but I find myself eating excessively when I’m at restaurants or in other social situations. I have accumulated a decent chunk of belly fat that was not there a year ago. I do intend to move right along to the Rite of Passage after this. @ Kara — I am very comfortable with the TGU now, but it took a long time to get there. I’m going to stick with the 16kg bell all the way through the program minimum and the Rite of Passage, I’ll invest in a 24kg later on, but I want to see what kind of mileage I get out of my trusty 35 pounder before going higher. @ Jessie — Wow, thank you Jessie. It means a lot to me to hear that. Opening eyes and minds is a great feeling, and I’m glad my writing has had an effect on you. @ Cody — Hey Cody, welcome to Raptitude. I know I’ve seen your name and avatar around, glad to hear from you! Definitely worth a try, Sarah. They usually strike people as expensive ($2 a pound is a fairly standard rate) but it’s a small investment compared to a gym membership or any other piece of exercise equipment. There were days when I enjoyed running, but not when it was cold or windy or rainy. And I live in a place where it gets deadly cold in the winter. KBs are great because you can use them inside. great article! your kettlebell experience somewhat mirrored mine. converted last summer. i’m muscular, was always a plate/dumbell lifter. got fat and slobby working long hours and neglecting to exercise. discovered the kbells, fell in love, saw immediate results. felt the effects in muscles i did not know i had. injured arm moving logs, (minor setback), recovered and still loving kettlebells. have lost most of my excess fat and look lean and am stronger. all that in less than a year, with so much less time spent training than i was used to spending with the plate/dumbell! “WTH effect…absolutely! great entry! im bookmarking to read more later. keep it up! I’m just coming off an injury and a few other distractions, and I’ll have my first swing workout in about two weeks. I don’t think I’ve ever been as enthusiastic about working out as I am right now. Glad you’re doing well with your KBs, hope to hear more from you. .-= David´s last blog ..Monday Update =-. Hi! I like your website. You mentioned that you did the swing and turkish get up as your only workout techniques at the beginning. How long did you do each one? Was it set up like an interval training going back and forth for a set period of time? I have the book you mentioned, but I do not know how to make a workout (preferably less than 15 minutes) out of these two exercises. Hi Ella. I don’t have ETK in front of me but I seem to remember it recommended only doing one exercise per day, and alternating. I never did both on the same day. I started with 5 minutes of TGUs and 10 minutes of swings, then increased the intensity and duration slowly. That was enough for me. 15 minutes of either would be brutal. If you check out my experiment log you can see what I did. Kettle balls are the best once you learn how to use them efficiently. I like having them around the house because you can just walk by and pick one up for a bit. I think this experiment will be a success. Hey don’t feel bad I’ve been working with them for three years and still have problems. I regressed and started over with enter the kettlebell, i’m on week five. never thought that the “dry heaves” were active rest, but they were today!!!!!!!!!! Are the dry heaves considered active rest? 50 swings, 1 min. rest, 50 swings . . ect for 12 min. got through 4 rounds. What motivators do you use in order to make yourself want to exercise?